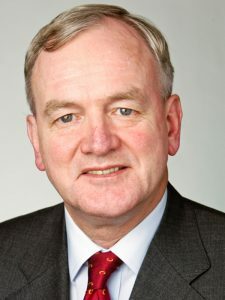 Willem Buiter joined Citi in January 2010 as Chief Economist. One of the world’s most distinguished macroeconomists, Willem previously was Professor of Political Economy at the London School of Economics and is a widely published author on economic affairs. Between 2005 and 2010, he was an advisor to Goldman Sachs advising clients on a global basis. Prior to this, Willem was Chief Economist for the European Bank for Reconstruction & Development and, from 1997 and 2000, a founder external member of the Monetary Policy Committee of the Bank of England. He has been a consultant to the IMF, the World Bank, the Inter-American Development Bank and the Asian Development Bank, the European Commission and an advisor to many central banks and finance ministries. Willem has a BA degree in Economics from Cambridge University and a PhD degree in Economics from Yale University. He has been a member of the British Academy since 1998 and was awarded the CBE in 2000 for services to economics.